Because we still had 30 minutes left before the movie we’re going to watch would start, hubby and I decided to have snacks at Goodles; this happened more than a month ago. In one of my previous posts, we tried their Moroccan Beef Nachos and Chocolate Banana Cake. 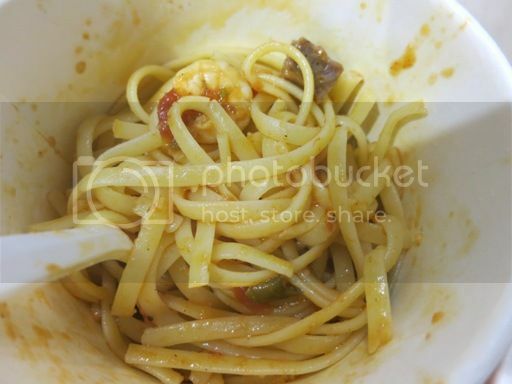 This time around, we ordered two of their best-selling pasta dishes: Garlic Shrimp and Chorizo and Basic Meat. 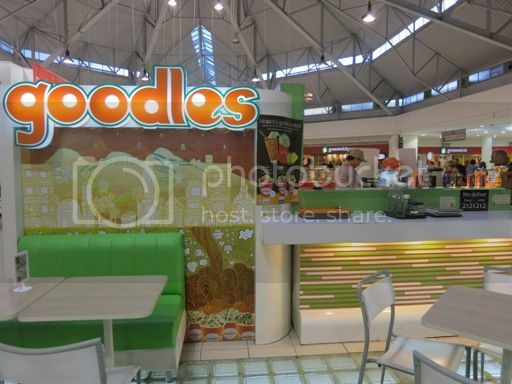 Goodles’ pasta-to-go concept allows customers to eat pasta practically anywhere: in the movies, in school, at work or even while strolling in the mall. That’s because Goodles serves pasta in an easy-to-hold tub, instead of on a plate. After tasting it, I understood why hubby liked it so much. This is spaghetti in olive-oil based sauce which is slightly spicy. The flavorful Spanish chorizo and juicy white shrimps make this a great-tasting pasta dish. 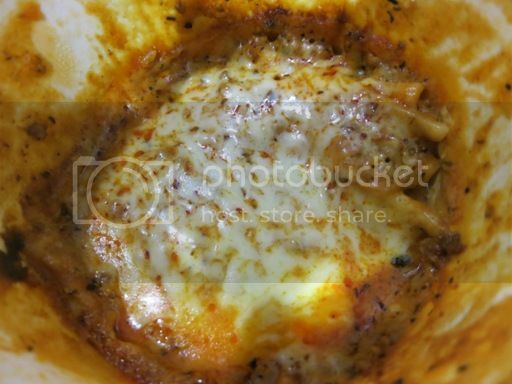 This is one of their most popular pasta dishes. 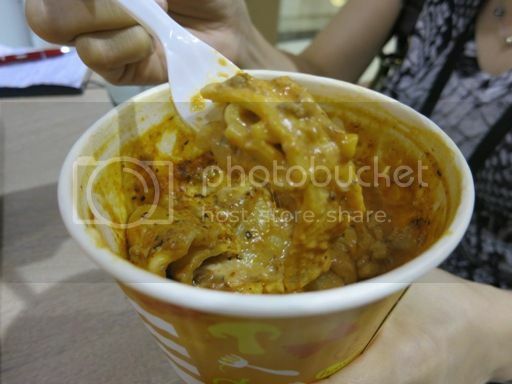 Basic Meat is made from 100% premium ground beef with a special blend of cheeses, chunky meat sauce and béchamel. This was really flavorful. However, I had to take a break after eating a few spoonfuls as my taste buds got overwhelmed by its rich, creamy taste. Next time, I’d like to try their Salsa Rossa Shrimp. 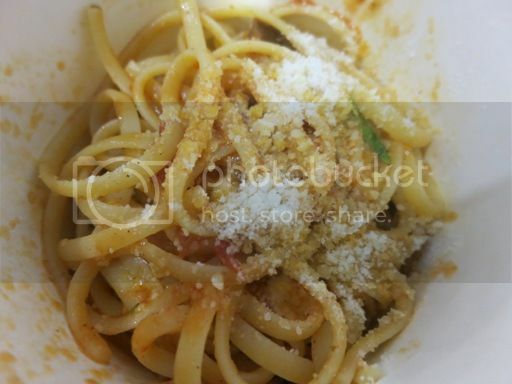 This entry was posted in Food Friday, Food Trip Friday, Goodles, Italian Cuisine, Pasta, Robinsons Galleria. Bookmark the permalink. Ang sarap ng garlic shrimp and chorizo! I never fail to order that every time I go to Goodles which is not too often. The timpla is just right. the photo did not do justice on the basic meat! hahaha it looks gross but based on your description it seems like a must try! I always pass by Goodles but never had the chance to try it. Thanks for your review, I might try Garlic and Shrimp Chorizo. I’m also a fan of olive oil-based pasta dishes. I love their Goodles Classic! 🙂 Yum yum, never fails to satisfy my cravings. I have yet to try the garlic shrimp, but I will soon! Now, that you brought this up, it has been awhile since I cooked decent pasta that did not come out from an instant pack. I miss lasagna! I have not tried Goodles, I have to check if there is one here in Pampanga. I haven’t tried eating in Goodles. I’ll look for it when we go to Robinsons Galleria. I’m enticed with your description. I have never heard of this food chain but I hope they open a stall here in our new Robinson’s mall coz the food looks yummy! will try out goodles kapag napadpad ako dyan sa Robinsons Galleria!